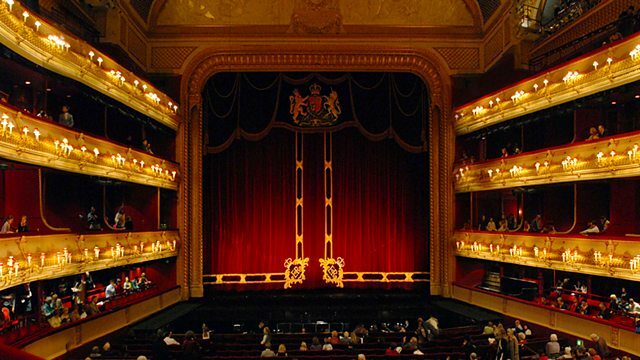 Live from the Royal Opera House, Covent Garden Sara Mohr-Pietsch presents a performance of Donizetti's comic opera L'elisir d'amore, starring Roberto Alagna and Aleksandra Kurzak. Laurent Pelly's production of Donizetti's comic opera L'elisir d'amore live from the Royal Opera House, Covent Garden, starring Roberto Alagna and Aleksandra Kurzak and conducted by Bruno Campanella. The young farm worker Nemorino is passionately in love with Adina, the farm's beautiful owner, but his attempts at winning her heart are thwarted by the boastful military sargeant Belcore, who secures Adina's hand in marriage. Can Nemorino's fortunes in love be turned around by the quack doctor Dulcamara and his magic potions? Sara Mohr-Pietsch is joined by the opera historian Sarah Lenton and dramaturg Simon Rees, and during the interval Sara visits the Wellcome Library in London for a look at the art of quackery.